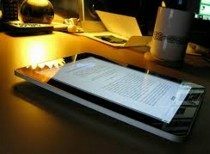 Welcome to my latest Weekend Reading edition where I share some of my favourite articles from the week that was across the personal finance and investing blogosphere. Invest regularly in low fee funds or dependable companies. CN Rail boosted their dividend by 18% this week. I wish I owned more shares of CNR but there is only so much money I can invest. Like Dale told me above, I’m killing debt while investing. Metro increased their dividend this week as well. People gotta eat. Congratulations to Jean-Yves who won a copy of this book in my recent giveaway here – mind your behaviour for long-term investing success. Your book is literally in the mail! Enjoy the rest of these articles as part of your Weekend Reading edition. I’ll be back soon with more content including an update on a stock I’ve owned for a few years now. A reminder these are great reasons why you should consider pensionizing part of your nest egg at some point. Read the article and enter to win a FREE copy of Pensionize Your Nest Egg from the author! Bryan Borzykowski reminded us that TFSAs are not just for short-term savings. I couldn’t agree more. Since Day 1 I’ve viewed this account as a dream TFRA – Tax Free Retirement Account. You can see other name changes to Canadian investing accounts I’ve proposed here. I suggested those name changes because I believe tax considerations should be part of your investing decision – renaming the accounts would help investors understand this. Thoughts? Fair point, but ultimately I think the biggest factor in taking CPP early is – you need the money to live from. I mean, how rare is it to get inflation-protected, pension-like benefits? If you can defer that AND have more income security in your senior years that is better. A big thanks to Tawcan for this interview on his site about my boring approach to financial independence. Let me know what you think of my answers in that interview in a comment below – good, bad or other! Do you need $5 million to retire? Suze Orman thinks so. That is nuts and a crazy amount of money. Save, invest, and prosper in February! If you want unbiased, FREE advice, take advantage of this free trial to some of the best stock and ETF research available in Canada. No obligation. Why not learn the lower-cost ETF investing ropes for free??? Need some guidance? 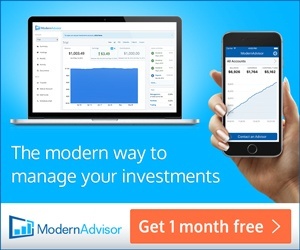 ModernAdvisor can help and with my partnership I can get you $50,000 managed FREE for a year. 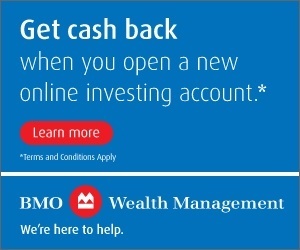 Use my promo code MYOCASH with BMO, so I can provide you with hundreds of dollars cash back when you invest with them. Use promo code MYOSF for a special offer when opening your BMO SmartFolio account. I get paid for paying my everyday bills using Paytm! There are more savings to be had with your investing, home phone, cell phone and more here. 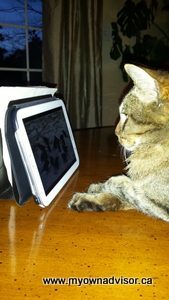 18 Responses to "Weekend Reading – Smarter saving and investing, taking CPP early, dividend increases and more #moneystuff"
Happy Friday everyone, as we sit under the polar vortex waiting for the ground hog tomorrow. I’ve never thought of my TFSA bein a place for short-term cash. It’s been fully invested in equities from day 1. Ed Rempel’s comments were intriguing – haven’t fully worked that one through. In the MoneySense article you linked to, Warren Baldwin suggests taking CPP early because the government might make changes to it – I don’t see that being as likely as changes to OAS, which I worry will be at greater risk. I worry a bit about OAS changes but I would personally welcome them. I think the program needs an overhaul. I’m leaning on taking CPP and OAS at age 65 right now, maybe defer one longer than the other between my wife and I – stagger them. I’ve got 20 more years to even consider some paperwork on that but I really enjoy running some retirement math; dreaming a bit. Reading the MoneySense article on TFSAs and I came across this…”investors think they can throw $10,000 into a few stocks and not have to pay money on the gains. While that’s true if companies rise in value, if they fall, which, of course, many do, then you can’t claim capital losses and if they do sell then they can’t re-contribute to their TFSA until the next calendar year”…I might be reading it incorrectly but selling a stock within a TFSA has no bearing on the re-contribution rules. Only when the money is *removed* from the umbrella of the TFSA does that kick in. Am I missing something? 100% true about not being able to claim capital losses nor are there gains to be taxed inside the TFSA. It is truly tax-free my friend since we’ve already paid tax on monies contributed to the account. Ya, I wasn’t questioning the tax free aspect of gains. It was the “re-contribute” part. It is a very poorly worded statement. It’s true you can’t claim a tax loss within a TFSA, and that if your portfolio decline from a book value of say $50,000 to $45,000, then you can not add back in another $5,000 to make up the loss. However, you are allowed to sell and take $5,000 out of the TFSA, and re-contribute the same $5,000, but not until the following year (when you can also add that year’s contribution too). There are penalties if you try to. I’m not sure why they made that restriction, but a TFSA cannot be used like an ATM. People who need to temporarily deposit and remove cash from an account are better off with a HISA. CRA has also gone after people who have been too successful in their TFSAs, day trading stocks and ratcheting up portfolios worth $300k+. Ed Rempel at times may be somewhat of a contrarian, but this might be beneficial. RE CPP timing, I think Jonathan Chevreau is doing something we will – delay and monitor as we go. Taking it early because the gov might change it = silly. There a plenty of valid reasons but not that. It’s in great shape, it’s hard to change needing 100% of provinces to agree, and previous changes have only enhanced it. Hard to believe a FA said that. OAS, different story. Ya Lloyd, it was kind of weird bringing that up. I find more people nowadays think or refer to investments only as “go up”. I guess a 10 yr bull does that. BB, I read that same Japan story earlier. Crazy. Especially the cost of housing a “prisoner”. Nice interview Mark. I think your answers were very good. Thanks very much RBull, re: interview. I always have fun with those when folks invite me! I love CN. Great company. Will love to have more shares as well. But price keeps going up. Me too. I will be buying more this year 🙂 Thanks for being a fan. re: Do you need $5 million to retire? Suze Orman thinks so. ~2% of American households have $5,000,000+ in investible assets. And within 10 years 90% of those households will have less than $1,000,000. Perhaps Suzie doesn’t want to admit just how poor her fellow citizens actually are. Or perhaps it’s great fear marketing for more books sales/podcast revenue. I dunno. Regardless, if it’s near impossible, it might as well be impossible. I’m inclined to worry more about the things which I can control, such as personal saving rate. Or how to get the best deal on my next vacation. I will never have/own $5 M anyhow but that’s still a CRAZY amount of cash. I too, as I get older and mature, try to only worry about things I can control. Otherwise, everything else is wasted energy. I will be taking CPP at age sixty because I will need the money. I am single and my estate will only receive a one time death benefit payment of $2,500. I pay a lot in to it, I would like to get a lot back out and you never know when you are going to die so I will start early. Nothing wrong with that Beth. If you need the money, and of course you contributed the money, then absolutely take the money if that’s going to work best for you!